It is the third installment in the Truly, Madly, Deeply Series. However, the story can potentially be used as a standalone. If you’ve run the previous installments in the series, the adventure picks up from where you’ve left. If not, you’ll need a plothook to drop the characters into the adventure. The adventurers are instructed to go to a village called Heaven and investigate a series of disappearances of people, as well as items. They will need the services of a a guide to reach it, though, because it’s a bit remote and hard to find. The first part of the adventure covers the travel portion of the adventure. It’s not treated as fast forward scenario nor with random encounters. Instead, it’s a mini adventure on its own, which is connected in a way with the main adventure. This side quest involved a shapechanger. I got a feeling I could tell who that person was pretty quickly, though I’m not sure if it was just me. However, the whole side quest is handled in a nice way and gives a lot of gravity on how the characters will handle the situation. If the characters mindlessly kill everything that stands in their path, there will be consequences sooner or later. The second part begins once the characters reach Heaven. There, some social interaction is in order, which will hopefully lead them to where they will have to go investigate. The clues they will gather will lead them to a dungeon. Of the three parts of the adventure, this one felt it was a bit lacking. We get information about what buildings exist in the village but nothing much after that. We get quite a few NPCs the charcters can question though, and some of them have enough information about them that you’ll be able to drop them in your campaigns, if you decide to do so. 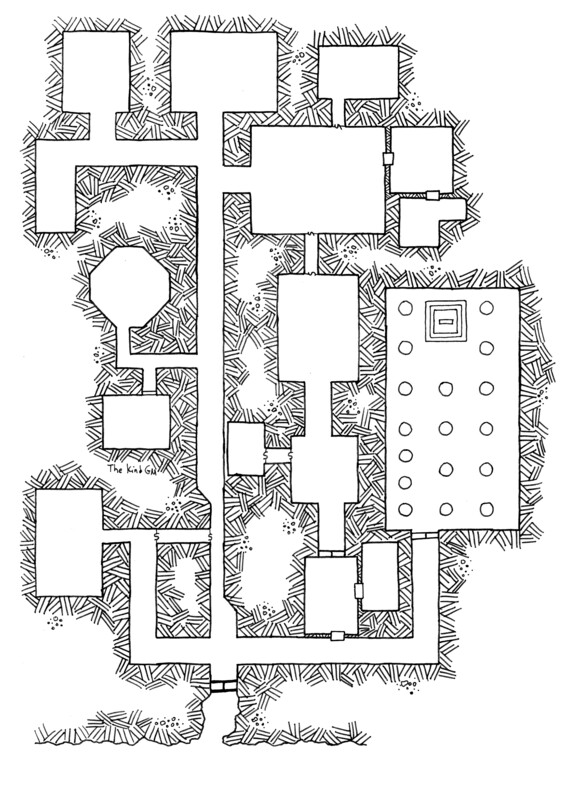 The third part is the dungeon the players will have to explore. It is where the rest of the encounters take place. The first part of the adventure focuses almost completely on social interaction and investigation. The point of that is to gather clues to deduce who the shapechanger is. There is series of skill checks the players can perform each day in order to gather these clues. At the last day they can roll to see if they figure out who the shapechanger is and the number of clues determines the DC of that roll. My note on that mechanic is that it may feel a bit limiting. It’s definitely going to help less experienced DMs manage the mystery situation but I can see more experienced DMs use it more loosely. However, I can’t say I don’t like it because, in the end, the whole encounter hides a small twist that I enjoyed. The first part ends with a combat encounter. Numbers wise, it’s not a hard one for a party of 3rd level characters but that’s not the point. 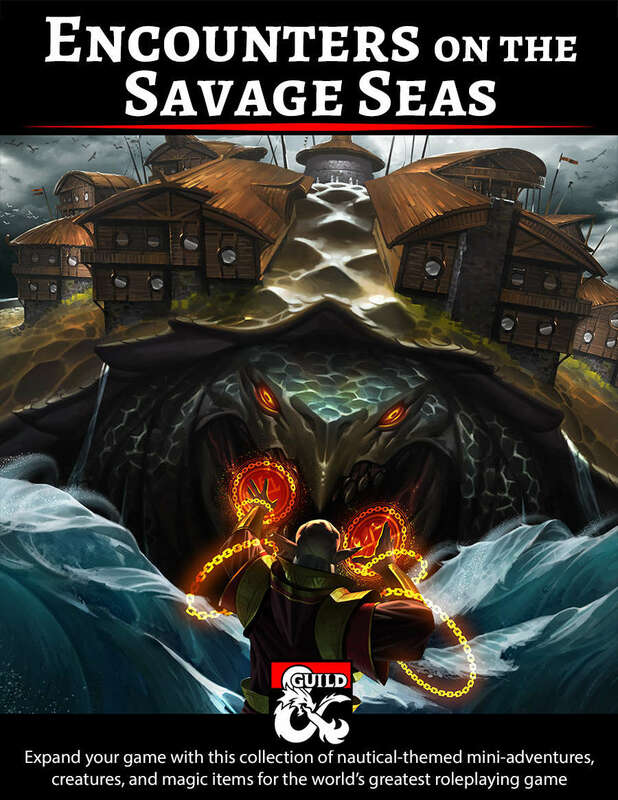 This encounter can play a role on how the adventure ends, especially if you’re running this as a series of adventures and the players have Harper characters. But even if you don’t, it leaves room to incorporate it to your campaign. The second part follows the same theme as the first one. There is social interaction and one of them can escalate to combat. Again, the characters will get rewarded by keeping a cool head and not start killing with the first provocation. The third part, which is a dungeon, contains mostly combat encounters. Some of them may feel bit easy but most of the monsters used can be quite dangerous even for higher level characters. Of course, there are some environmental dangers in the form of either traps or collapsing parts of the dungeon. There is also one social encounter which, depending on how the players handle, can somewhat help with the final combat encounter. Speaking of the final encounter, I have mixed feelings. The villain is interesting. I could easily see myself using her as an NPC in a campaign, and not necessarily as a villain. There is, however, a possible way to end the encounter which may feel underwhelming to the players. It may work if you’re running the whole series of adventures, but that end would most definitely be a bad way to finish a oneshot. The cover of the adventure is good and depicts the villain. I like how well detailed she’s drawn. Inside the adventure, there are a few more pieces of art. They are all very well drawn, but it would be nice to see art of some more of the NPCs mentioned in the adventure. As for maps, there are two battle maps and one map of the village. They cover all the important areas, and are also offered as separate files along with the adventure. 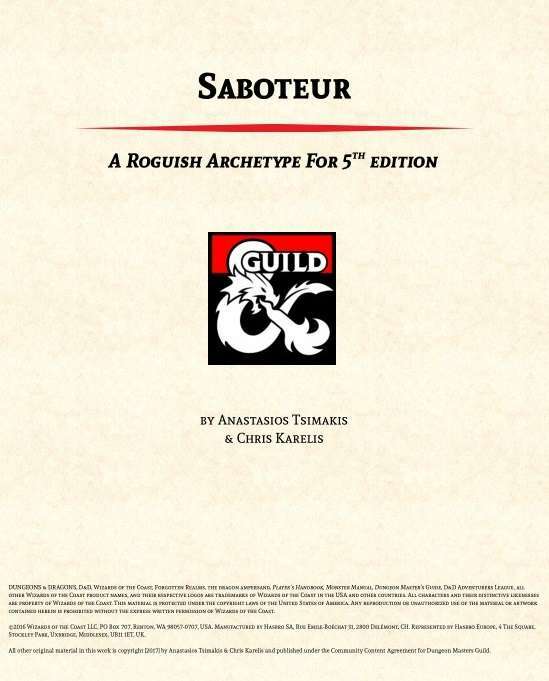 I find it very useful when there’s a background section in the first pages of the adventure, providing a quick outline and a few extra information for the DM to get a feeling of about what’s going to happen. There’s no such section here. 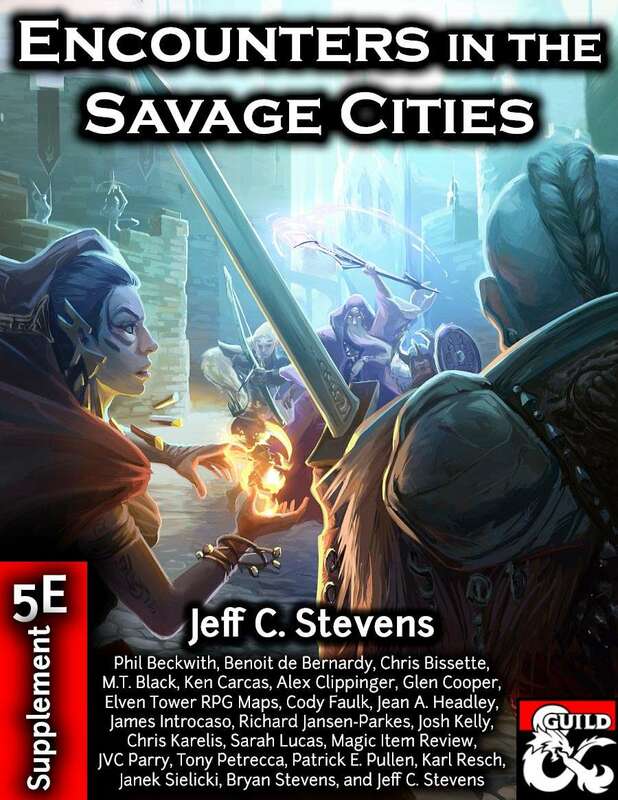 Another thing I felt was missing is a list of simple hooks to be used in case someone was just starting the adventure series, or planning to use the adventure as a one shot. This adventure will be more fun to players who enjoy actually speaking with NPCs and doing a bit of investigation. If you have players who love hacking and slashing, this may not be the adventure for them. And last but not least, the feeling I got from this adventure is that it may be easier for new DMs to run. Let me clear something here. I don’t mean experienced DMs will not enjoy running it. I’m only saying that new DMs may find this adventure easier to run than others. Heaven is a Place on Faerún is an interesting adventure that players who don’t kill first and think later will enjoy. I do believe it can be used as a one shot, with a couple of minor changes, but it will probably be much better if used as part of the adventure series.